£50 deposit secures your booking. This is an additional charge held against damages ect and refunded after your stay. Savings club available. Linen Hire £5 Double and £4 single beds will be made for your arrival if hired. 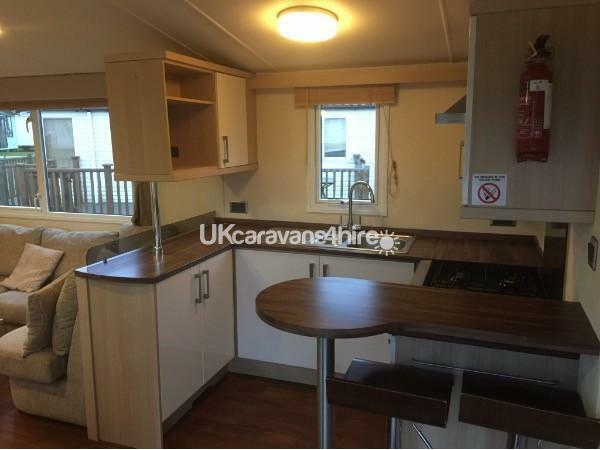 This static caravan for hire consists of 3 bedrooms and can accommodate up to 8 people. 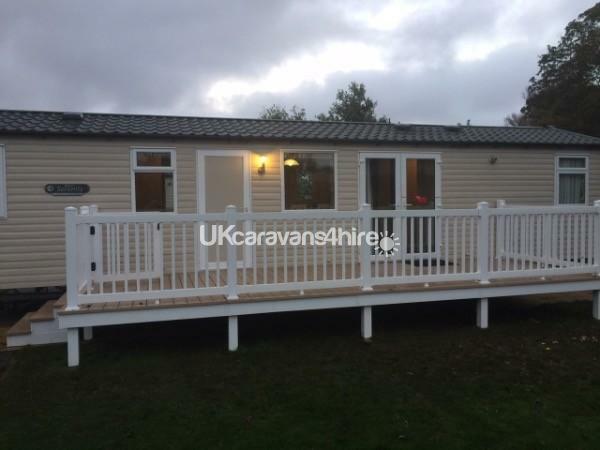 The caravan is situated on Hafan y mor Haven in North Wales near the town of Pwllheli.Our caravan for hire is situated on Lakeside at Hafan y mor Haven in a beautiful corner plot near to the sea and close to main attractions. 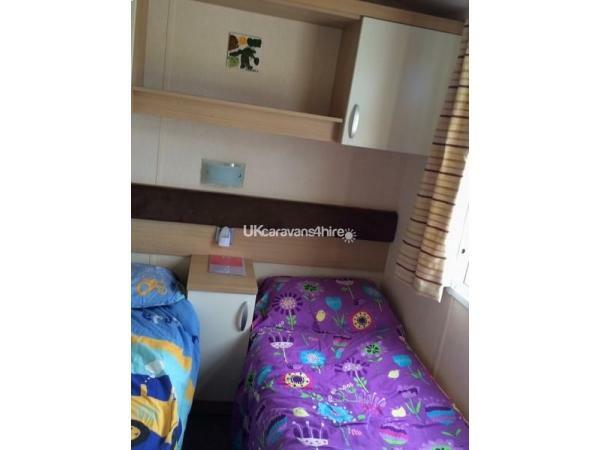 The caravan consists of 3 spacious bedrooms and can sleep up to 8 people. 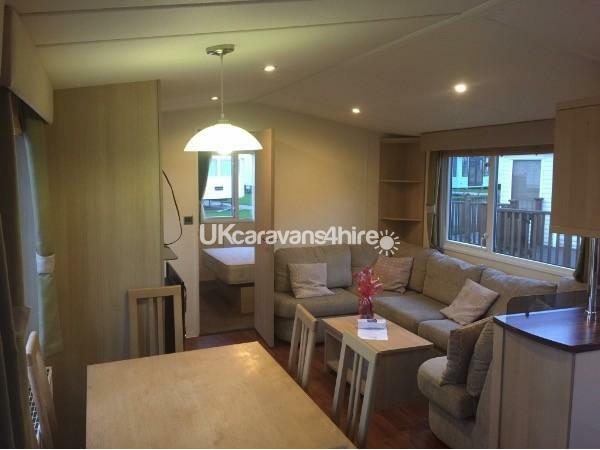 The caravan is home from home and will provide you with a very comfortable modern base from which to explore. 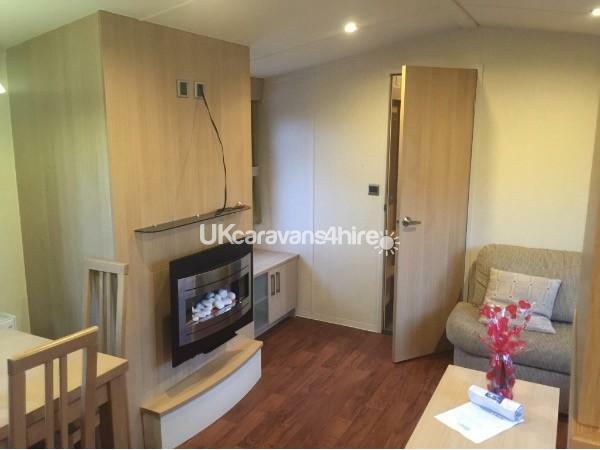 Spacious homely caravan with a fridge freezer, tv. 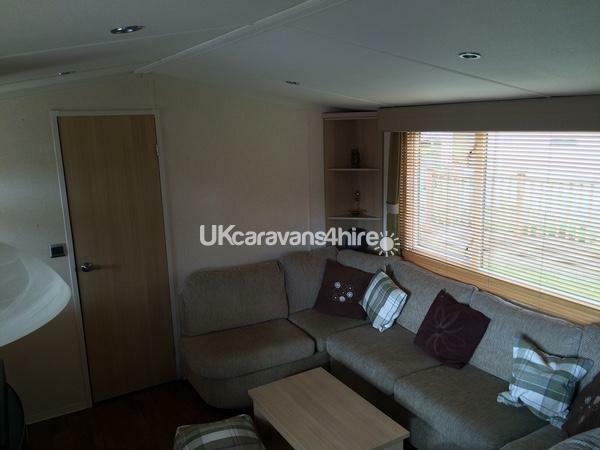 The lounge is comfortable and modern with a gas fire. Double glazing and central heating makes it ideal for those cosy nights in. 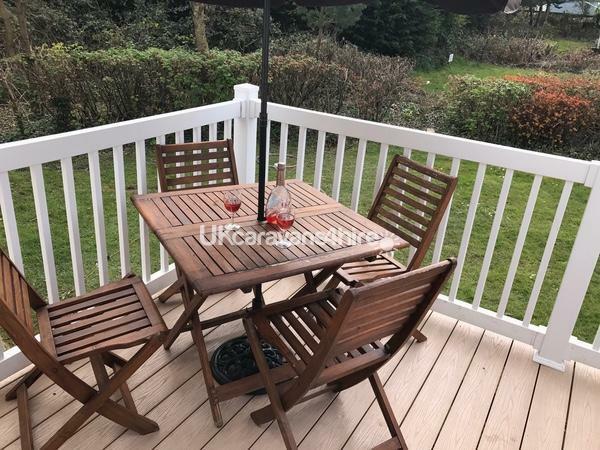 Decking area with lockable gate. 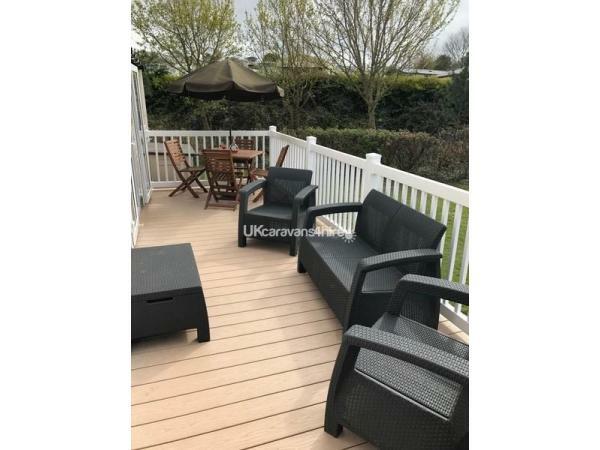 Seating area on decking. 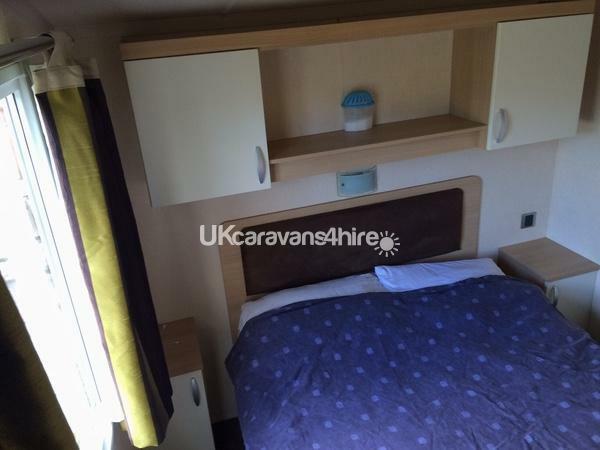 £50 breakage/security deposit will be added to the price of your holiday. 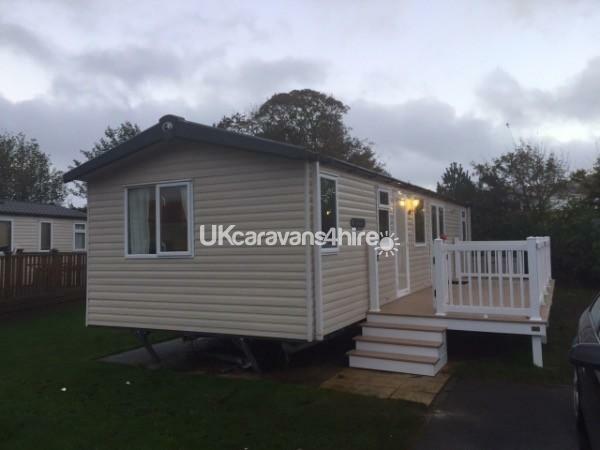 This is refunded to you within a week of your departure provided the caravan has been taken care of the caravan. Full balance to be paid 8 weeks before arrival. Additional Info: Go carts. Roller dome. Zip wire. Pedal boats. Bike hire. Beaches. Parks. Water walkers. Paint balling. Plus lots more.